APD Group has been thoroughly developing its business in power electronics and new energy industries, and has been manufacturing products that meet the expectation of the world market via its innovative technologies and design. APD also places a great emphasis on policies for quality and environment by having adopted several ISO certifications for quality and green system through many years, in order to enhance reliability of its products and implement its policies for a sustainable environment. It has been honored with several awards from government agencies and world’s major customers for quality and sustainability of its products. As a leader in the power electronics and new energy technologies field, APD Group has continued to pursue technological innovations. Recently, APD Shenzhen DK Inc. under APD Group has also won China’s “National Grade High-tech Enterprise” and “Shenzhen High-tech Enterprise” certifications, which showcase the affirmation of its R&D results. 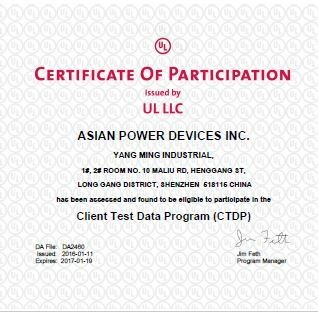 2017 - Asian Power Devices (APD) Obtained CMMI 2 Product Engineering Management Certification. APD Yarongyuan Technology (Shenzhen) Co., Ltd. passed CMMI2 (management-level) certification on September 9, 2017, which means that Yarongyuan Technology has full confidence and is recognized by international authority for its research & development level, research & development quality and project management capacity in power supply product field and now is in step with the international mainstream mode with plan and preparation. 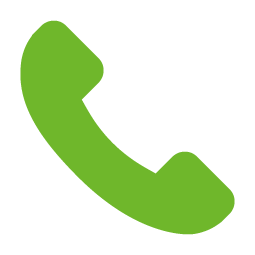 It can provide products and services at first-rate technology level and high quality. PrimeVOLT’s 10kW PH inverter is amazingly awesome and proves that such a design would not cause any concern of temperature rising, as is monitored by the full-loaded thermal-imaging device” remarked Photon International, an authoritative magazine for the world’s photo-voltaic industry. 2012~2018 - Honored with “Supplier Rating A”, “Top Supplier”, “Excellent Supplier” from world-renowned medical device manufacturer Hot! 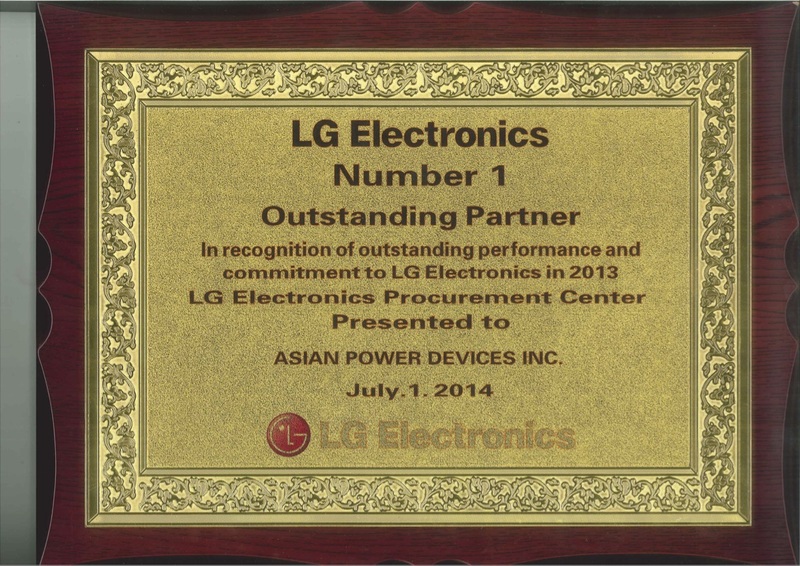 2014 - Honored as Number 1 Outstanding Partner from world-renowned electronics makers. 2012 - Honored as an Excellent Supplier from well-known electronics makers. 2011 - Honored with Award for Best Cost Improvement Idea from world-renowned medical device manufacturers. 2002 - Awarded as a Strategic Supplier from world-renowned electronics makers. 1999 - Honored with Plaque of Appreciation for the most excellent contributor from world-renowned electronics makers. 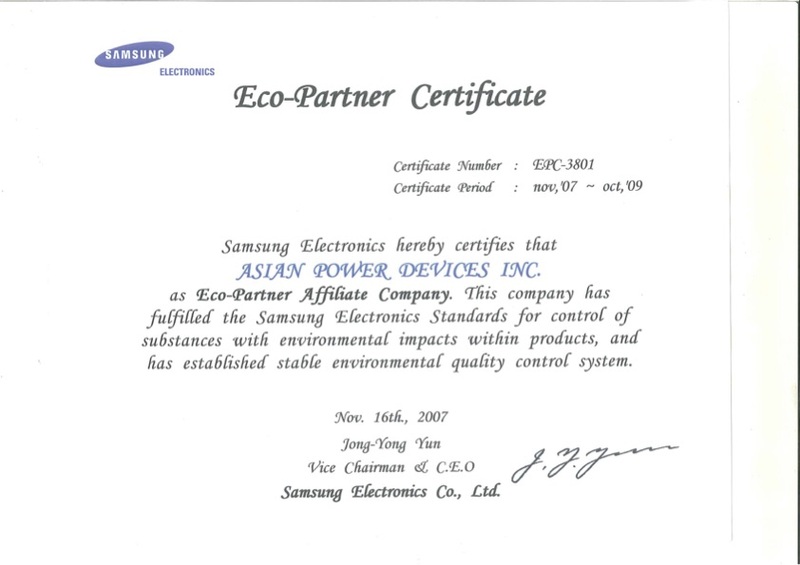 2007 - Awarded with Green Program Certificate from world-renowned electronics makers. APD Group has a fully-configured safety lab that features advanced testing equipment and a professional safety team. 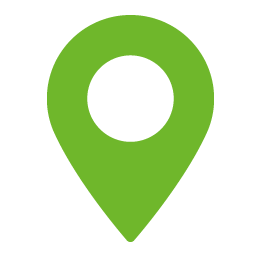 It is compliant with requirements from ISO 17025 system and has passed authorization testings from certifying agencies such as TUV, UL, and NEMKO as a lab with UL-CTDP data approval and a CB CTF-3 lab. 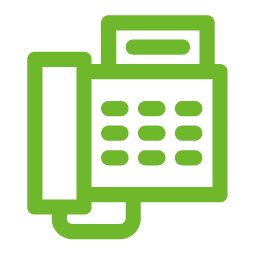 Its range of testings cover information technology and audio-visual equipment. As a Type A corporation, APD Group has set a higher requirement for its management, requiring all related departments to strictly follow the “requirement to guarantee the plant’s capabilities in quality” in implementing a complete management practice and enhancing consistency of its products, as a means of safe-guarding the group’s honor as a Type A corporation. 2012 - Awarded with Industrial Exemplary Company from Industrial Development Bureau of MOEA, proving its industry exemplary status in terms of business operation. 2005 - Awarded with Excellence in RD Innovation for Small-to-medium Businesses from Small and Medium Enterprise Administration of MOEA, demonstrating APD’s RD capabilities. 2004 - Honored with letter of appreciation from National Yunlin University of Science and Technology. APD Group continues to invest thoroughly in education on power systems through partnership with schools, as a continued effort to nurture new generations of talents for the power industry.